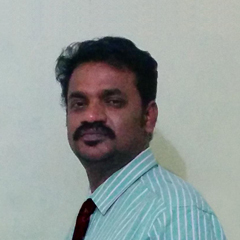 I’m Soorya Prakash, Graphic/ Web Designer and a Digital Marketer by profession. Offering my service to a few reputed creative agencies and organizations, and after a well-thought realization, I quit my job to live my life on my own terms; to travel and to experience different cuisines across the world. Now I live my life wandering the Nature; Woodlands, ocean and the mountains. I can introduce myself as a storyteller, one can also introduce me as a photographer, as a graphic designer, as a web designer, as a digital marketer, as a social media strategist, etc.. In fact, I am just a purpose-driven storyteller. It can be in writing from, design form, pictorial form, digital form or simple in social form. Anything that can be feast / wow factor for sure. After 5 years of traveling – I’ve decided to start a blog to share my experience to the world. My journey from the cubicle to the road and from internal parts of Villages to Metro Cities to remote locations. Through travel and food stories, I would like to take my readers from remote South Indian food to Western Pizzas. I’ve a lot more experience and reminiscence to share, albeit faced issues in all my journeys. Sharing of such moments would certainly lift you from the present to that moment. So, let’s begin the journey and experience the wonders. You can experience my own experience which I faced through my journey, of course sometimes you will see my faith too, few ethics, life lessons, values etc. Key areas of experience include Creative Direction, Senior-Level Design in Print, Digital, Identity, Branding, Brand Management, Photography, and Photo Post-Production. Digital strategies for SMEs and SMBs. I have also written a few lines of copy, and I can rebuild any brand.